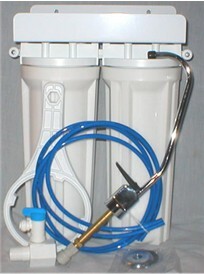 For the public's protection, Congress enacted the Clean Water Drinking Act in 1974 and strengthened it in 1986, setting minimum water quality standards for most homeowners. Unfortunately, however, there is no guarantee that all utilities comply with the regulations. 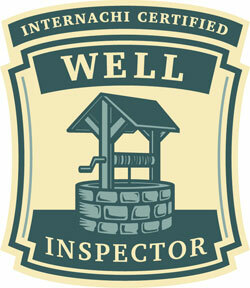 HOME INSPECTOR USA is the premier water well testing company in Leesburg, The Villages, Mount Dora, Lady Lake, Inverness, Crystal River, Gainesville and Newberry, Florida. If you're drinking public water and you think it is absolutely safe, you better think twice. My lab has tested many residential water supplies and have found that more than two-thirds of these homes required some sort of filter in order to remove sediments that can harm your body. Enforcement is very difficult on the national, state and local levels; not all known contaminants are on the list; and all public water testing isn't necessarily accurate. Having your water tested now (whether it is Public or Private) will let you know if there are dangerous levels of contaminants in it. If these levels are greater than what the government allows, then action is highly recommended. Testing your water now is the only way to tell if there are harmful levels of contaminates or sediments in the drinking water in your home. ways. Some germs and chemicals occur naturally. Heavy metals like arsenic, lead, and cadmium are naturally found in rocks and soil and sometimes seep into ground water which ends up inside your residential water. Your home has lead pipes are a dull gray color, soft enough to be scratched with a knife or key). Your home inspection report will always indicate the type of pipes that are supplying your water. Your home has older copper plumbing and / or chrome-plated or brass fixtures. You see signs of corrosion from your water (frequent leaks, rust-colored water, stained sinks, dishes or laundry). 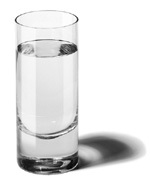 If you are concerned about the quality of the water in your home, you may wish to have your Well water tested. 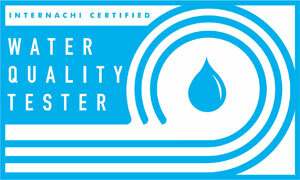 HOME INSPECTOR USA will gladly draw a sample of your tap water and have our independent certified lab analyze your water for any unhealthy levels of contaminants. 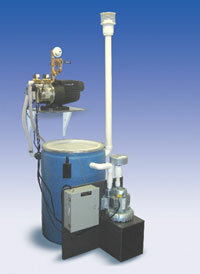 I will contact you with the water test results within two days. (Pricing does vary). If (after testing) you find that the levels of any contaminants are high, then you need to take action immediately. Depending on the pollutants involved, your next steps may vary. You may need to install a water treatment device, such as a reverse osmosis system, a bacteriostatic conditioner, a distillation system, or an activated carbon filter. At HOME INSPECTOR USA your interests are our interests before, during and after the home inspection. 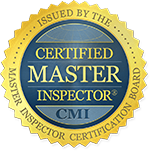 Education, Experience and Expertise in the home & mold inspection business, engineering and residential construction set us apart from the average Home Inspector in our area. Our home inspections, mold inspections, mold screening and testing are tailored to the specific home, building or items being inspected. IT'S NOT NECESSARY TO LEAVE YOUR COMPUTER TO CALL FOR HOME, MOLD OR A COMMERCIAL INSPECTION, SIMPLY "CLICK BELOW" AND SEND YOUR PHONE NUMBER TO MY CELL PHONE... I'LL CALL YOU WITHIN MINUTES. Real Estate Agents - Affordable Real Estate Solution your complete online real estate resource. 123ExchangeLinks.com 123 Exchange Links helps you find quality link exchange partners which increases traffic and improves a website's link popularity with search engines. PRO-LAB Laboratories - Mold Radon Lead Water Testing - PRO-LAB Laboratories are the leading providers of environmental (mold) testing services in the world.